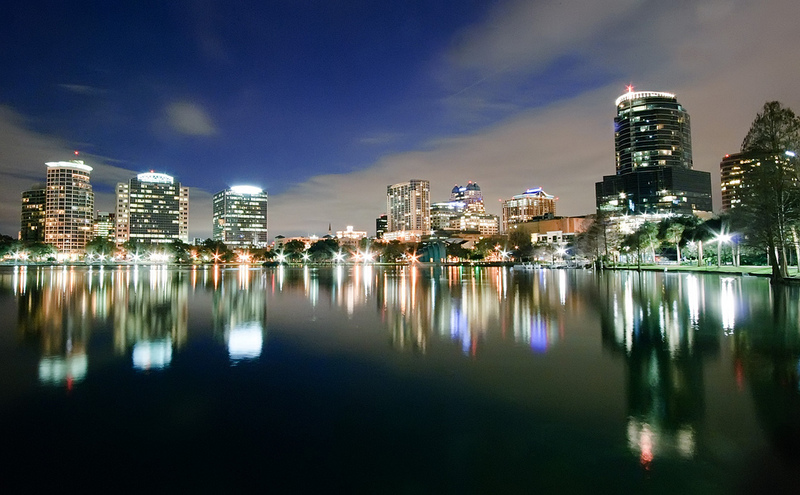 Orlando is a city of approximately 200,000 people located in east/central Florida. Orlando is the sixth largest city in Florida. The Orlando metropolitan area is home to nearly 1.8 million people. Orlando is the undisputed theme-park capital of the United States. It is home to the world famous Walt Disney World Resort, as well as numerous other theme parks. Orlando is also only 45 minutes from Port Canaveral, a major cruise ship port that plays host to at least three major cruise lines and over ten different cruise ships, including the Disney Cruise Line's two ships. Nightlife in Orlando is centered in the downtown area, and around the major theme parks. In downtown Orlando, one can find comedy clubs, dance clubs, martini bars, pubs, sophisticated lounges, and sports bars. Universal CityWalk at Universal Orlando Resort features dining, shopping, movie theatres and five nightclubs. Downtown Disney also offers movies, dining, shopping, and seven clubs at Downtown Disney's Pleasure Island. If you're interested in Orlando, please email your resum� with an introductory letter to to Dayna Lynn at dlynn@fsgltd.com or fill out the form below.